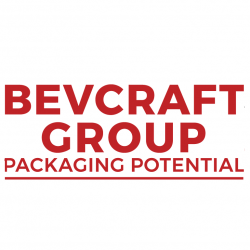 Employer Description Bevcraft Group is the Process & Packaging partner for the craft beverage industry and today works closely with over 50 breweries and craft beverage producers. Bevcraft Group has evolved from being an award-winning start-up to be a true leader in its field and offers a dynamic environment in which to build a career in an exciting rapidly growing sector. Role Description Bevcraft Group require Process Operatives to join our team. This role, although based from our Mullingar facility, will predominately be performed at our client sites which are currently located across Ireland and to a lesser extent the UK (mainly Northern Ireland). The role will include: Working as part of our operations team predominately at client sites Operating our production / packaging equipment (including canning lines) in accordance with standard operating procedures and in conjunction with the operations team Undertaking quality control measures using precision testing equipment Assisting with the movement of stock material, equipment and ancillary items including loading / unloading and set up at client sites Engaging with clients and their teams at client production sites Maintaining and improving efficiency and overall team performance Minimising wastage and quality defects Preparing stock including stock branding and accurate date coding Undertaking other tasks as required at our production facility or the facilities of our clients Contributing feedback / input to process improvement Contributing to technical developments / solutions Conducting routine cleaning in place and related procedures The role is expected to be varied and will present you with the opportunity to work inside many of Ireland’s most exciting craft breweries. Candidate Requirements The ideal candidate will preferably have many or all of the following: Be a self starter / self directed Natural problem-solving ability Good teamwork skills Be punctual / reliable Be comfortable with early mornings / late evenings Methodical nature and ability to follow procedures Ability to undertake manual / semi-automated processes efficiently Have a degree of flexibility with regard to occasional night / weekend work Have or be in the process of obtaining a Full Driving Licence Have an aptitude for production machinery / equipment Trustworthy and honest Have a passion for the craft beverage sector Have an aptitude for engaging with clients and customer service needs Package For the ideal candidate the following will be offered: A full time role to average 40 hours per week A competitive base salary Time-off-in-lieu system to accrue extra days off Tax Free Expenses will be paid in respect of lunch / dinner when at client sites for full days An attractive bonus scheme will be applicable after 6mts A range of perks will become available after 12mts (e.g. phone, health insurance etc.) 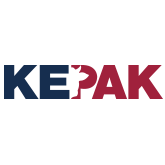 in line with performance / additional training / additional responsibility A career / promotion path within a rapidly growing business Ongoing training and development opportunities A 6mt probationary period applies to this role after which time, if successfully completed the role will become permanent.